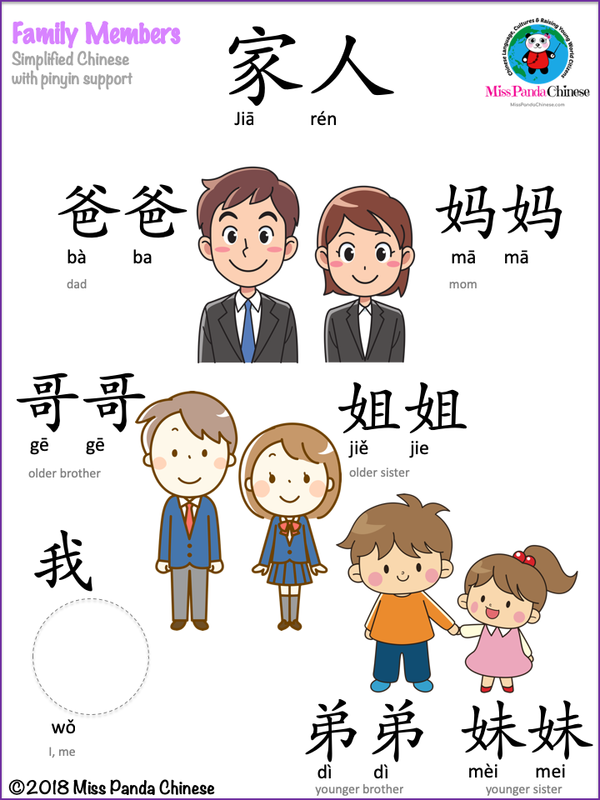 This is Lesson 5 of the online “Learn Chinese for Kids” series on Bilingual Kidspot hosted by Miss Panda Chinese: Learning the Family Members in Chinese. 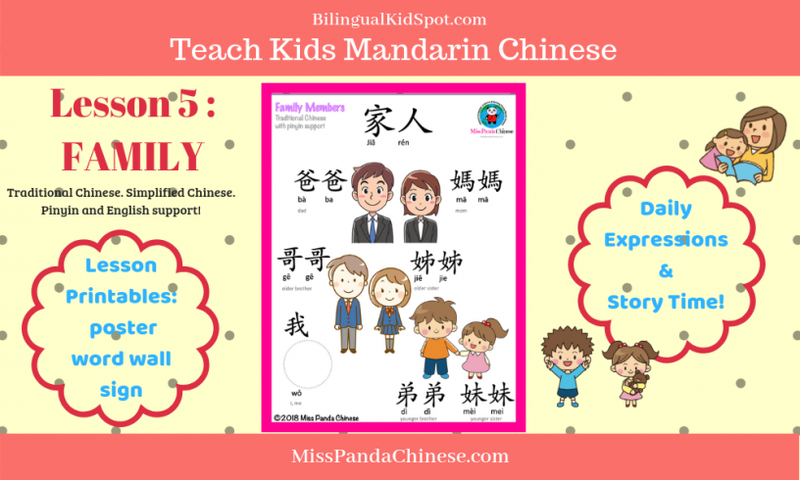 If you are a parent or teacher trying to teach kids Mandarin Chinese make sure to keep following this series of online lessons! 大家好! dàjiā hǎo! Hello, Everyone! Ｗelcome back to another playful Chinese class with Miss Panda! If you are NEW to this series make sure you take a look at our previous lessons. By now you will have the tips and tools on how to set up a bilingual home. 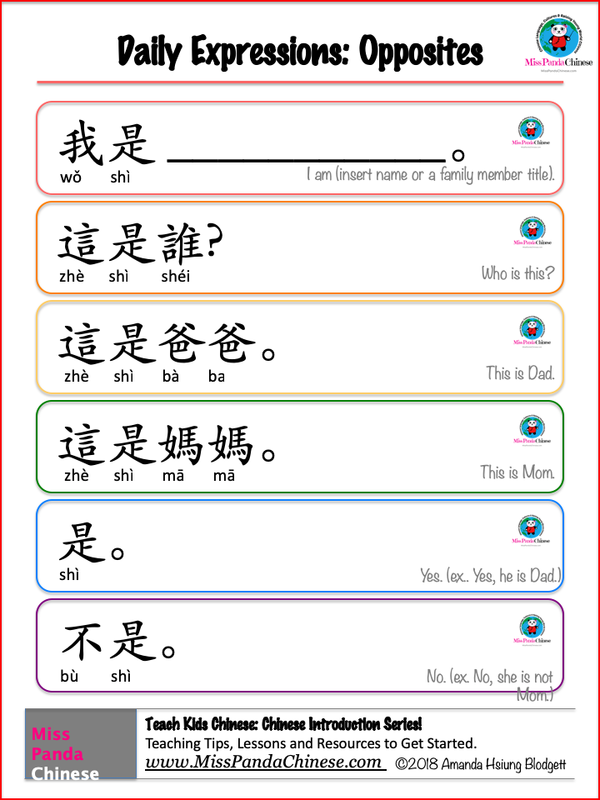 You have the lesson plans for introducing Chinese numbers, colors, and opposite words. Take your time. Have fun with your child. Start slow. Even just five minutes a day is a good start! Today we are now going to have fun with FAMILY MEMBERS! Let’s go! Introduce family member words is something a child relates to easily. This lesson can be a lot of fun with many opportunities to practice every day. Look at the pictures on the wall at home. Look at the family photo albums. Play peek-a-poo with this lesson. Play hide and seek with family members. Make a phone call and talk to Mom. Make a phone call with Dad. How about Facebook time or skype video call. You get the idea. Match the pair, sorting the family members by big and small. Counting with the numbers. Use the picture cards or family pictures. Miss Panda loves visual tools. I know you know why and you like it as well. Set up your Family Member Poster! Get ready to learn the Family Member words! You can continue use them in the Family Members activities. In this lesson, I have more sentences that you can use throughout the day! These expressions are for daily conversation. Make sure you print them out and post it on your Word Wall. Use these expressions whenever you can with your child! Kids always have fun with movements and engaging activities. Family members words in Chinese give you a lot of opportunities to practice these words, and expressions. Learning with your own family pictures and Play Cards! Use dot markers with the family member word search! Show and Tell with picture cards or family photos. Furthermore, set up a game night with all the Play Cards you have from this lesson and previous lessons! Guess Who? With kids acting the poster of a family member. This always gets so hilarious with my students! Create an invitation for a Family & Opposite Party ! This is where your family acting career kicks off. You will see Mom is small and Dad is big. The big sister is happy and the big brother is sad. Your pets can join the party, too. The idea is to put all the things you have learned together and have a celebration! Miss Panda loves telling stories! This time I have “You” and ”I” in the story. 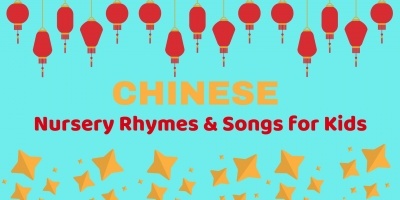 Can you catch the “you” and “I” in Chinese in the video? 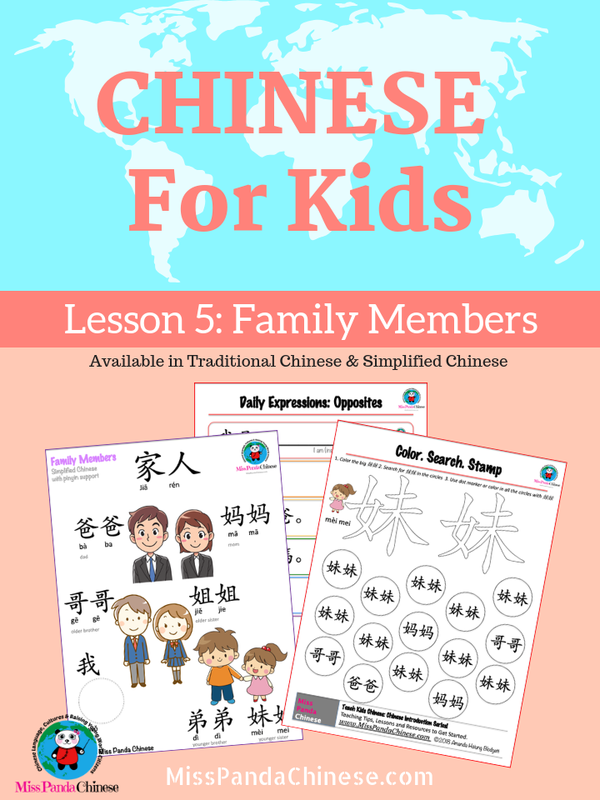 Download all of your Printable Lessons by Miss Panda Chinese in this series HERE!Want More? 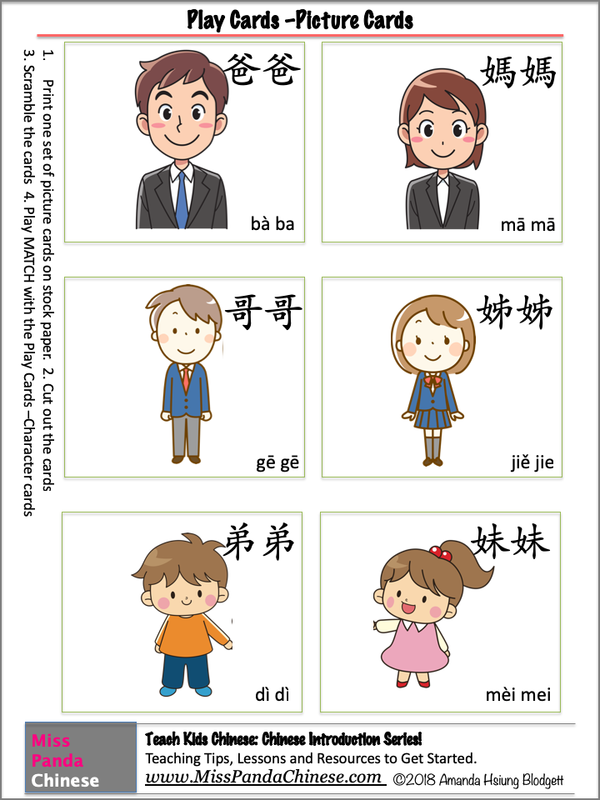 Introduce Chinese to children with resources Miss Panda has created for you and your child! I am so thrilled that you are here and join me today! What a fabulous class about the Family Members! I hope you and your child have a lot of fun with these basic daily words and expressions. 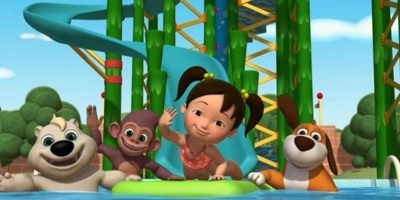 Leave a comment and let Miss Panda know your child’s favorite activity in this lesson. New to this series? Want to catch up?! 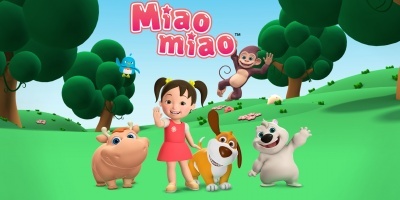 For non-native parents who want to introduce Mandarin Chinese to children, you will love “Let’s Learn Mandarin Chinese with Miss Panda!” audio lesson CD/MP3 album.